An East County man was jailed Monday after allegedly threatening the lives of deputies at his home and hurling metal projectiles at them. 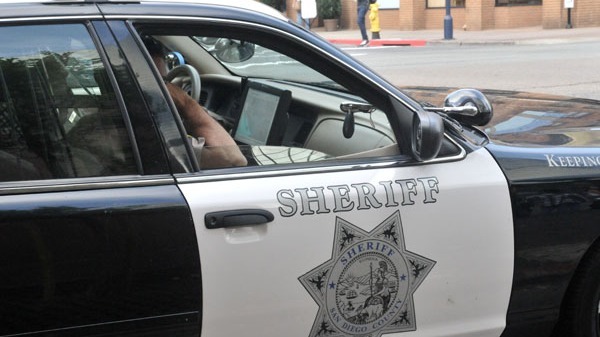 Robert Khazin, 40, called the San Diego County Sheriff’s Department about 6:30 a.m. and allegedly made statements about killing any law enforcement personnel who went to his home on Greenwick Place in the unincorporated Cottonwood area, south of El Cajon, Sgt. Karla Taft said. Deputies went to the residence, where they found the suspect in his driveway and tried to speak with him. Khazin responded by shouting at them and making further threats of violence before retreating into the house, according to Taft. At that point, Khazin allegedly armed himself with a makeshift slingshot loaded with a 2 1/2-pound metal weight and used a tube to hurl ball bearings at the patrol personnel. He then tried to escape through his back yard. The deputies then unleashed a service dog, which subdued the suspect and allowed them to take him into custody. Khazin was booked into county jail on suspicion of eight counts of assault with a deadly weapon.